This is one of the first images with my new Nikon D600, a yellow rose with rose coloured petal tips in our own garden. A couple of evenings ago I wandered around our property taking random shots with the camera set on Auto ISO, and very impressed with the D600 ISO performance. Catalogued, colour adjusted and exported from Capture One Pro 7. This is also new and like learning a new language. 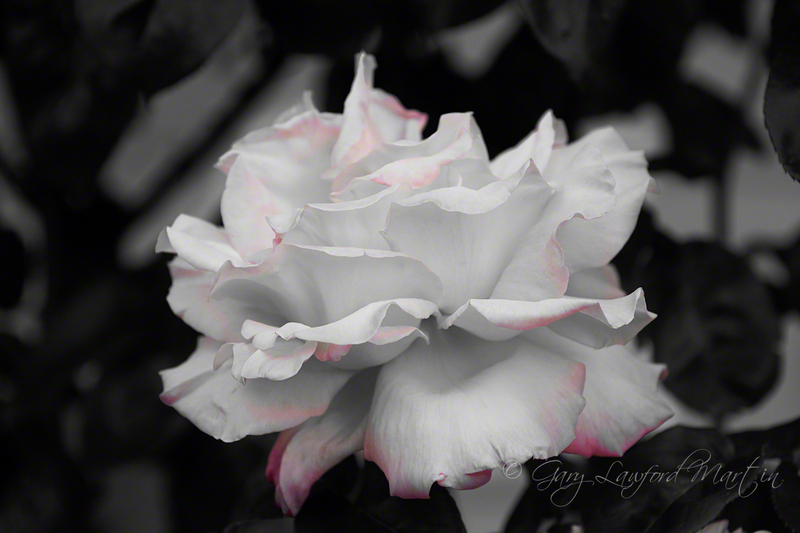 I used one of the Capture One Pro 7′s basic styles preset to convert the image to black and white, and bring out the red petal highlights.